Our custom car interiors are meant to capture not just what we think looks great, but what looks great to you. We’ll remake your vehicle’s insides to whatever specifications you like. Whatever you imagine, we can create. Give your car a custom touch that will set it apart from the rest. We offer full customization for all makes and models to make your car fit your style. Whether you’re going for an OEM Plus look, or full custom, we’ve got you covered. From small touches like shift boots, e-brake handles and trim, to custom built and shaped seats, we can do it all. 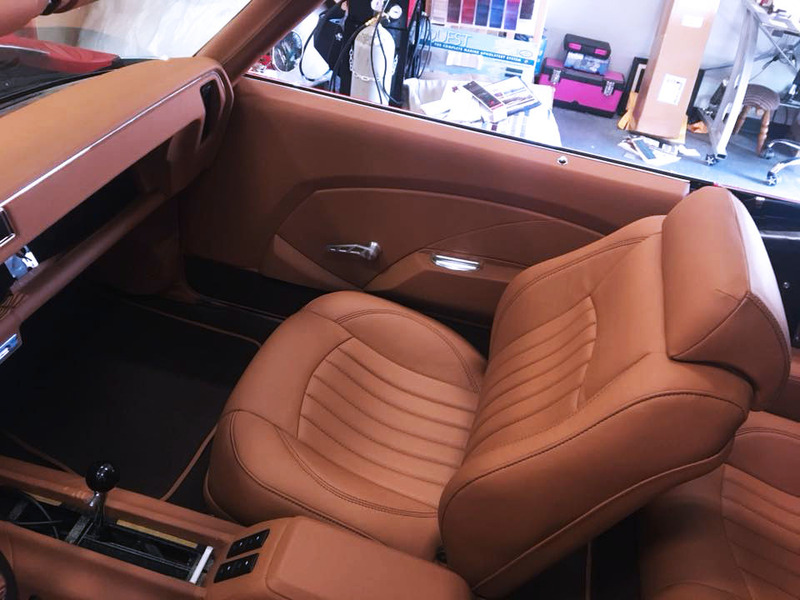 If your aftermarket seats don’t complement the rest of the car, let us take care of it—we're happy to match your new seat to your car's interior.